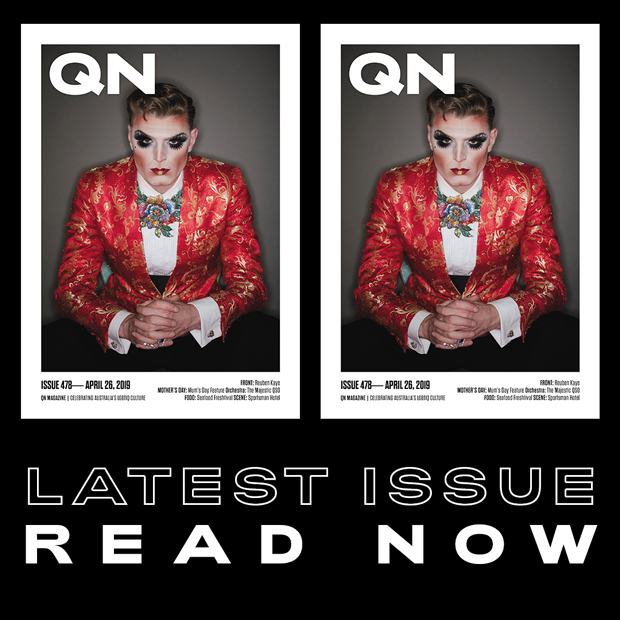 With so many wonderful Brisbane drag performers emanating from central Queensland, QNews Magazine asked our own Biloela-born and bred drag star Wanda D’Parke to speak with Rockhampton-born Gayleen Tuckwood for her take on how things have changed since Wanda started on her drag journey a few(?) years(?) ago. Dylan Bendall has found great success as the amazingly talented and gorgeous drag entertainer “Gayleen Tuckwood”. I asked the 23-year-old how it was for him growing up in Rockhampton, as a young gay person of his generation? “Wanda, your experience growing up is something I have heard from many members of the LGBTIQ community,” Dylan told me. Dylan certainly fit in better than I did, playing many sports during his school years. He even represented Central Queensland in Rugby Union. The closest I got to team sports was cutting up the oranges for half time when my brothers played football. For me coming out was a very private thing, with only a one-time discussion on the subject with my mother. For Dylan it was a more personal, internal revelation. “It was just a quiet moment on a Sunday afternoon, and I just had this epiphany… everything seemed to click,” he said. “Naturally, when I went back to school the following week I had to tell my girlfriend that she was dating a gay man.” Awkward?!?! The response of Dylan’s family to his coming out was somewhat of an anti-climax. “I’m extremely blessed to have a very loving and accepting family,” he said. His family would show their support by attending LGBTIQ rallies and his performances as “Gayleen Tuckwood”. Given that country towns can be a tough place for a gay kid to grow up, I asked Dylan about his experiences with bullying. In my day it was a case of getting beaten up or verbally abused before, during or after school – sometimes all three. “I think I experienced less bullying after I came out than I did before. Coming out gave me an unshakable confidence,” he said. “I do however worry about future generations, as I think cyberbullying can be a lot more dangerous than face-to-face verbal or physical attacks. “The only real advice I have to young members of the community growing up in regional towns is to love yourself. “Accept who you are whole-heartedly and own it! It’s the most important thing you can do. And now, dear reader, let me introduce Dylan’s alter ego Gayleen Tuckwood, whom Dylan describes as a mix of 1920’s nostalgia and 2019 modern flair. “I only found out that drag queens existed when I was about sixteen, from my best friend David McKone, a.k.a. ‘Shu Shu Funtanna’, who also grew up in Central Queensland,” Dylan explained. “He taught me about drag queens. When I was sixteen, he dressed me up for a laugh. I instantly loved it and felt unstoppable. “I was nineteen when I moved to Brisbane. Dylan was eighteen and, like me, was following his heart. How romantic, I hear you sigh? Of course, that relationship did not end well. Dylan has since become a fully qualified hairdresser, and Gayleen has become one of Brisbane’s most popular and versatile drag entertainers. She lists Doris Day, Shirley Bassey and Eartha Kitt as influences. Gayleen readily admits that she can’t dance to save herself but makes up for it with her many stage personalities and costuming. “It still catches me off guard and humbles me when people know who I am as a performer and admire what I do,” she said. Still in a slight state of elation after taking out the #melt pageant last night at the Brisbane Powerhoue.  Congratulations to all the other girls on such an amazzing show and brilliant sisterly competition. Gayleen (or is it Dylan?) created a complete advent calendar “wardrobe” for Christmas last year of “romper suits and separates”. I was totally hooked (as were you, admit it). “Honestly it started out as a fun challenge. I didn’t expect the level of positive feedback that I got,” Gayleen said. In an industry that seems to be littered with RuPaul-style drag, Gayleen is certainly an original. 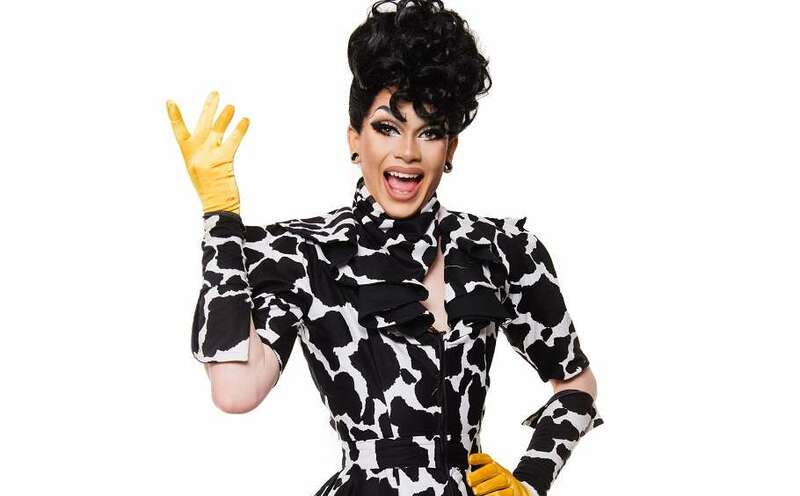 She applauds the RuPaul generation of performers but does make the point that most Australian performers may never reach the status of a RuPaul. “RuPaul’s Drag Race has created some unreal expectations from fans of the show,” Gayleen said. “The simple fact is that we don’t earn anything close to the money they do, but I do believe that the majority of queens in Australia are just as talented. With that said, Gayleen Tuckwood dances to the beat of her own drum. She wishes the same for us all, and insists that we support local drag now and always.